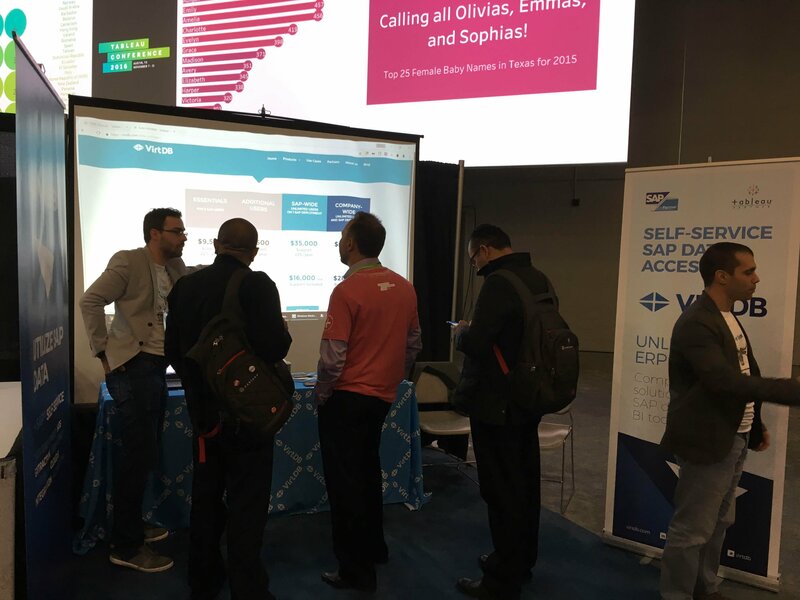 We are back from Austin, TX where we (CEO and CTO – the TC16 squad) exhibited our Tableau related VirtDB technology – connecting Tableau to SAP ERP data the easiest way ever. It was a great, exciting and fruitful week. While we had planned to participate many sessions, it turned out we just couldn’t. 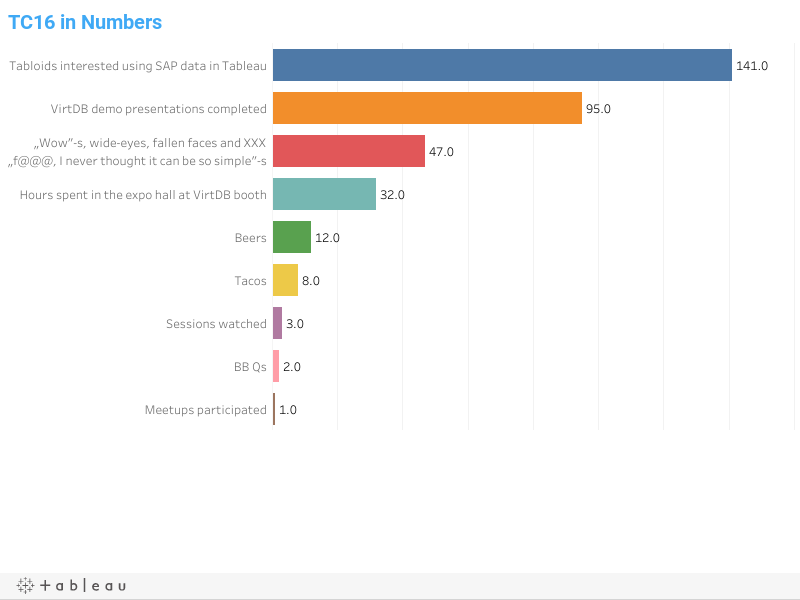 We had so much interest from the conference participants, users, partners and Tableau fellows: we had to make so many demos that there were only a few sessions we could visit. But it’s not bad at all, it was a great feeling experiencing the people’s reactions when VirtDB resolved problems in seconds they can only do in days or weeks. 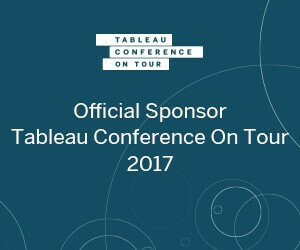 If you were not able to attend, we’d recommend to read Jen Underwood’s Tableau Conference 2016 Takeaways. She gives a nice perspective on top announcements like a new data preparation product, alerting and – our favorite – natural language queries. Now TC16 is over, but we have so many new friends, leads, PoCs booked – it seems the party will continue for long. Thanks Tableau organizing this great event and thanks Tableau Community for your interest.